Kiss Day is one of the most awaited event during Valentine Week and brings Couples, Lovers and soulmates to enjoy the time getting more closer to each other. Sending kiss day sms to your girlfriend is indeed an interesting and fun activity to do, you can send your lover lovely kiss day sms to let her know about your romantic thinking via your own unique thoughts, while you can also use our unique kiss day sms as well. Kiss day is celebrated on 13th of the February just one day before Valentine Day on 14th February, Kiss Day 2015 will come on Friday, you can make your kiss day 2015 memorable by spending quality and romantic time with your love. People across world celebrated the event according to their traditions and norms, most hits by people for kiss day sms include kiss day sms in English, kiss day sms in urdu, kiss day sms in hindi and kiss day sms messages 140 words as it is easy to send the collection of unique words in a single sms to mobile. A passionate kiss day sms portraits your feelings, closeness, affections and how romantically you though about a particular person, apart from your suppose, girlfriend or father, a Kiss Day SMS to Mother can say all thing via mobile sms that how daring your mother is for you. Your kiss makes my day. Your kiss coveys your love to me. Your kiss soothes my mind. Your kiss is the loveliest thing in the World. Time has put distances between us but my heart beat increases the same way like it used to be in your presence. I still miss your those hugs which were the reason for me to forget my life's sorrows. I still want those laughs that filled my heart with joy. Today is kiss day, even after the break up you're the only one to whom I want to kiss. Dear girlfriend, you're trying to lose your weight and I've found a latest research regarding to your problem. According to the research a person can lose 6.2 calories in a minute with kisses. As, I can't see you starving and wanna help you in losing weight. Just tell me wanna workout? A sweet kiss for a sweet sister. A warm kiss with the big bundle of love. A kiss for an elder sister who is supportive without being careless, helpful without being rude and protective without being stifling. 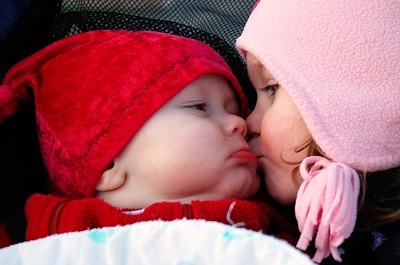 Receive a kiss on cheek and a tight hug form your naughty little sister on kiss day. Every time I screamed and cried, you came to me glad and rejoice. Every time I felt I needed an advice and guide, you were always there even you were tired.May one day I become more successful than you, but It would be because of your mentor and guide. You're the only one in my life, who deserve a kiss on kiss day. There are many things in our lives that really appeal us. But before attempting them think for a moment either it's halal or haram. Think whether they the happiness you'll get from them is immortal or ephemeral. I know you're adult and aware from good and bad but being an elder sister its my responsibility to guide you. Love you a lot and happy kiss day. Kiss is a simple but perfect way to share your love. kiss tells you how important is someone. Kiss is the best way to infiltrate your love and to make someone happy. As kiss is so beneficial then I would also like to kiss you dear mom. When you were an infant baby we siblings used to fight who that who will sleep you in his/her lap. You're our youngest brother and very dear us, when you feel pain our bodies also suffer it and when you smile we all feel happiness in our souls. I still remember your healthy and soft cheeks and wanna kiss them again. Happy kiss day my little prince.